Is mobile the key to success for hotels? 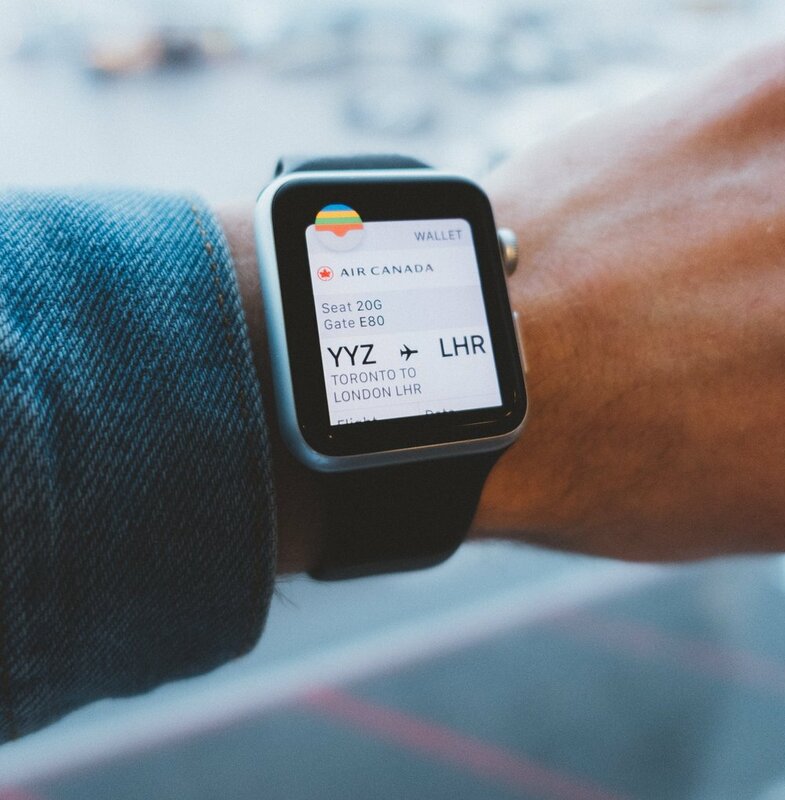 Today’s tech-savvy, mobile-first consumers are increasingly choosing the travel services that give them power and control over their trip – and ditching those that don’t. What’s more, they are also looking at digital platforms that allow them to research, plan and book their travel without having to navigate between numerous apps and websites. When it comes to air travel, customers in 2019 have more choice than ever before. As they increasingly seek better ways to find and book exactly what they need – quickly and efficiently – it pays for airlines and travel brands to get this right. Faical Allou is a former Skyscanner employee with more than 10 years’ experience in the airline industry. In this exclusive interview, he explains how this experience led to his first book, A Lifelong Flight, and why a frictionless experience for travellers is indeed the way forward in 2019. His novel follows Sam, a professor in business strategy who finds himself on a mission to rescue a start-up airline in Bali while navigating an industry that is completely unknown to him. It’s been a progressive and productive year for the travel industry. Headlines throughout 2018 highlighted the challenges from this ever-growing sector of the global economy as well as the positive impact. Whether it’s about enabling further travel through new routes or the latest innovations in aircraft and engine design, we watch these industry level changes with huge interest at Skyscanner. In the last 12 months, our experts have led and joined key discussions, focusing particularly on one key question: what themes will continue to disrupt the industry? Hugh Aitken, Senior Director, Strategic Partnerships looks back at 2018 and shares his thoughts on three key areas that airlines need to focus on in 2019 and beyond. According to Skyscanner’s data, mobile now accounts for 63% of all traffic which is why we are constantly investing in the technology to build a better mobile experience. This continual move to mobile brings with it the need for a new approach. It is vital to think mobile-first. Mobile demands a different design and user philosophy, a different way to retail as well as the need for frictionless search and booking between platforms and device types. At Skyscanner, we take a mobile-first approach. We orientate around our app and build for that platform. An important step to helping travellers has been our focus on growing Direct Booking. In the last year, we partnered with IATA to launch a Guide to NDC as a future-proof roadmap. IATA predicts that by 2037, there will be as many as 8.2 billion air travellers. It is therefore essential that airlines create mobile platforms that consider each step of the user journey. We have successfully partnered with airlines like Singapore Airlines and Aeroflot to create a more agile, connected and efficient customer experience with Direct Booking. Through this connection, customers are able to book flights more conveniently through the Skyscanner site. NDC has been adopted more widely by airlines in the last 12 months and even more now understand its benefits, such as ancillary upsell. In the last 24 years, Amazon has evolved from an online store for books to a one-stop platform for all your retail needs. For some reason, the travel industry hasn’t quite figured out how to replicate this winning formula. There is still room for movement and Skyscanner plans to close this gap as we further transition to a marketplace, showing our partners more strongly by matching data and search behaviour. By optimising our products as a marketplace with multiple capabilities, we can provide our 80m monthly active users with options most tailored to their needs. The future of travel and distribution are dependent on this yet even today, the majority of online sales opportunities rely on too many dependencies. Skyscanner believes that this is where we can offer the most value for airlines. As a marketplace, we provide the platform for partners to control their brand while we enable the connection between customer and brand, regardless of the context of purchase. As a global travel leader, Skyscanner knows first-hand which regions and markets are disrupting the industry. When it comes to travel technology and innovation, airlines should look East. In a 2017 whitepaper, our experts shed a light on China and the opportunities this market continues to present. Let’s look at Tmall. Introduced in 2008, this Chinese marketplace, operated by Alibaba, offers brands the space to run their shops on the site. However, the competition element for airlines doesn’t go away. If anything, marketplaces encourage brands to up the ante, particularly when it comes to differentiating the shopping experience for travellers. The variance in payment methods: QR codes and mobile payment methods continue to grow at a pace across Asia. Between 2012 and 2016, QR codes, as a method of payment, grew from $0.01trillion to more than $5trillion. Finnair are a great example of an airline that embraced this new landscape for payments. As a result, they became the first airline to team up with Alipay for in-flight shopping and payment. While trends emerging from Silicon Valley will continue to be important, ‘Look East’ should be the new mantra for airline management teams who are grappling with technology and change. As 2018 comes to a close, there is a great deal to reflect on and if airlines can prioritise the three key areas above, the industry is sure to see even more advancement and movement next year. As a global brand, Skyscanner has an important role to play within the industry, particularly with 80m monthly active users. Our ongoing objective is to put the traveller first and this will continue into 2019. For even more insight into the 2019 travel landscape, check out our trends piece here. We interviewed Worldline to discuss payment flows in the travel industry, challenges and the shift to mobile. Head of Global Strategic Development at Braintree, Svante Westerberg, highlights the importance of the payment flow, challenges faced in improving payment solutions and the future of such processes in our ‘Perspective on payments’ series. Discover the trends driving change in the travel industry, and the technologies and mindsets that you can adopt to capitalise on them. We interviewed Yanik Hoyles, Director of New Distribution Capability Programme at IATA to discuss NDC, challenges in the travel industry and what we can expect to change in the next five to ten years. As data continues to highlight the shift from desktop to mobile, and new shopping and payments trends emerge from the East, we take a look at the biggest challenge and opportunity that airlines have to face: retailing. Skyscanner interviews award winning marketer Colin Lewis to discuss distribution, challenges faced by the Aviation industry, future changes we can expect and the importance of the Chinese market to the travel sector. This feature highlights the importance of ancillary merchandising, and how data can be used to optimise your conversion and drive ancillary-based revenue for the future. Read more about our Direct Booking platform and how it helps us to deliver a frictionless shopping experience to our users across devices and platforms. Skyscanner takes steps towards a more tailored traveller experience by launching a new feature "Travel Wallet". Travel Wallet offers the opportunity to securely save both passport details and airline loyalty card details and always have them ready when booking flights. We are entering a new technological era in distribution: so what does it take for an airline to win the next round? The travel search engine will host its first ever hotels event featuring key notes from Booking.com and WIHP Group.